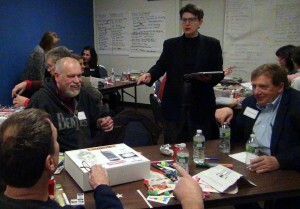 Games Help You Find Fresh Ideas And Innovative Solutions! Many of our clients want to use Innovation Games® themselves after we have completed our work with them. We'd like to share with you some basic criteria to keep in mind and a few games you can do on your own. 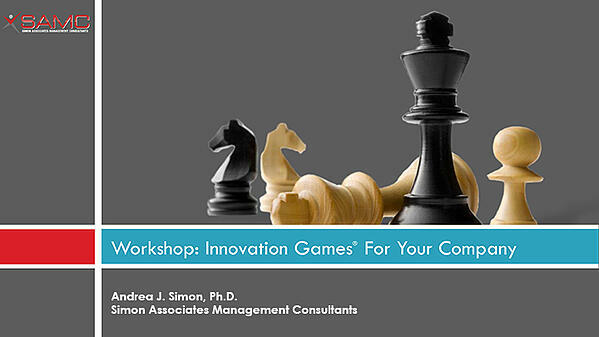 We've also included a workshop, “Innovation Games for Your Company,” which you can download for more in-depth learning. Each time we've brought together a group of people to play games, it takes them a moment to get engaged and then they're off and running, with speed and confidence, even though they have never played them before. It's amazing and fun! 2. "Build a Better Product Box"
Following "Reverse Everything," the game we like to use is “Build a Better Product Box.” One of the original 12 games that started it all, this exercise helps you identify the most exciting features of a product or service. Begin by asking your customers to imagine that they’re selling your product at a trade show, retail outlet or public market. Give them a few cardboard boxes and ask them to literally design a box that represents your product or service. It might have key marketing slogans or tag lines that refocus the company in new directions. When they're finished, pretend you’re a skeptical prospect and ask them to "sell" their box to you and your customers. Who sells the best? Often we have the groups also draft a homepage of a website so that they organize all the story-elements into a second metaphor. Pictures, coupled with words, are powerful. Next, we use a number of games to see how all the new ideas converge. 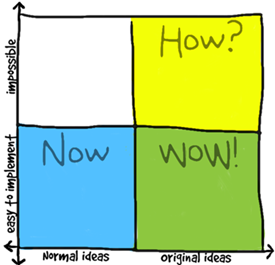 One of the simplest, most useful and popular ones is "Now/Wow/How" because it forces people to prioritize. 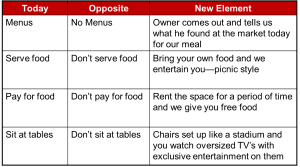 The "Now/Wow/How" matrix is an idea selection tool that breaks the “Creadox” (creative paradox) by forcing people to weigh each idea on 2 parameters: ability to implement (easy vs. impossible) and quality of the idea (normal vs. original). As you'll find out, it's a lot harder than it looks! We invite you to give these games a try and see what you come up with! Since all Innovation Games can be customized and combined in different ways, you might find it helpful to let us guide you in your decision process when you're choosing games to address your specific challenges. 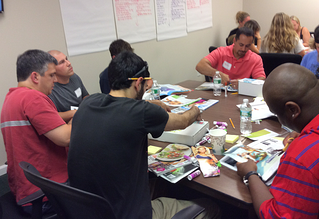 If you would like to schedule a workshop or a training program, or just talk about how Innovation Games could help your business become more innovative, give us a call at 914-245-1641.